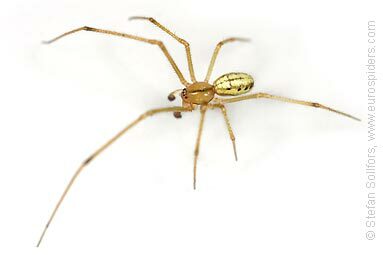 A male Enoplognatha ovata spider. 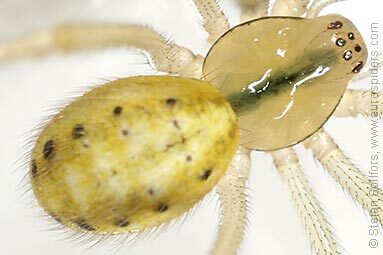 Yellow abdomen with black dots. 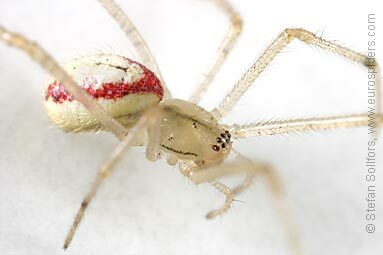 Female Enoplognatha ovata spider with red stripes. 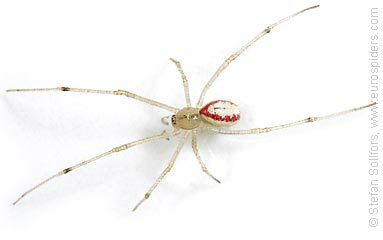 Female Enoplognatha ovata spider with red stripes. Side view. 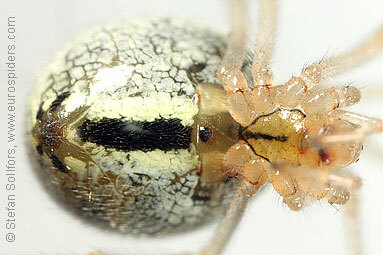 Close-up view of a female Enoplognatha ovata spider with red stripes. 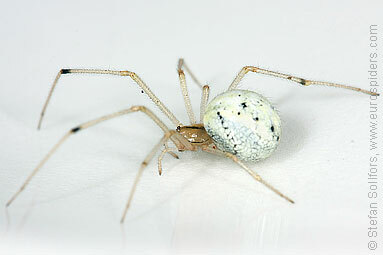 Female Enoplognatha ovata spider, side view. 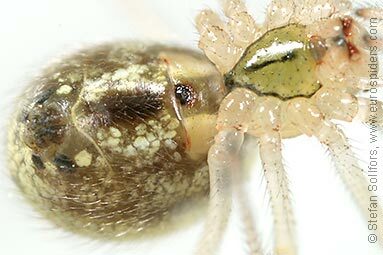 Close-up view of a female Enoplognatha ovata spider. 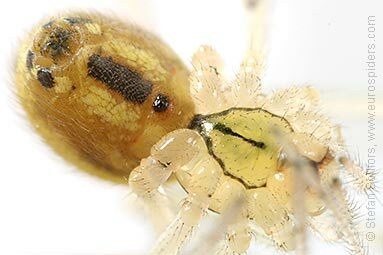 Female Enoplognatha ovata spider, head-on view. Close-up of the eyes and hairs on the head. 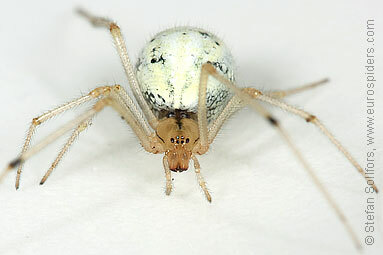 Female Enoplognatha ovata from below. 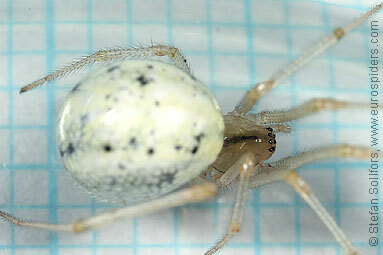 Another female Enoplognatha ovata from below. 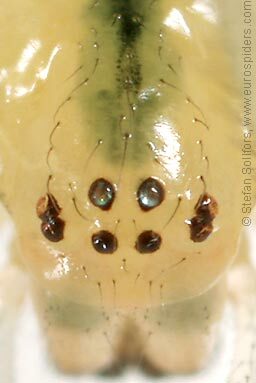 Close-up of the epigyne of a female Enoplognatha ovata. 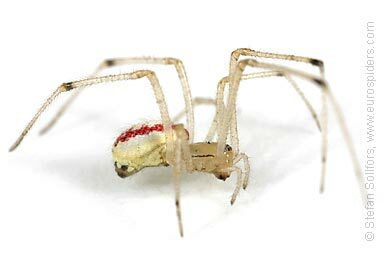 This colourful spider often builds webs on plants. Its colours can vary greatly. Yellow, white, green. 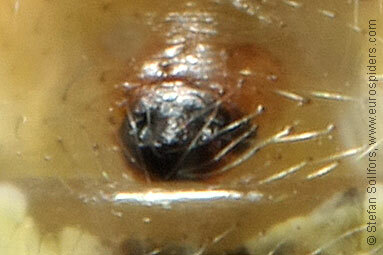 Notice the significant black dots on the side of the abdomen. The name Candystripe comes from the specimens with the red stipes.